The parallel universe called Southeast Asia draws me in over and over again. Coming to Southeast Asia feels like coming home. Each time I return, I find comfort in the ease of traveling there, the excitement of new discoveries, and the energy hanging in the sweet, sticky air. I’ve traveled in Southeast Asia for over 2 cumulative years, going from popular spots to places that do not even have an English name yet. 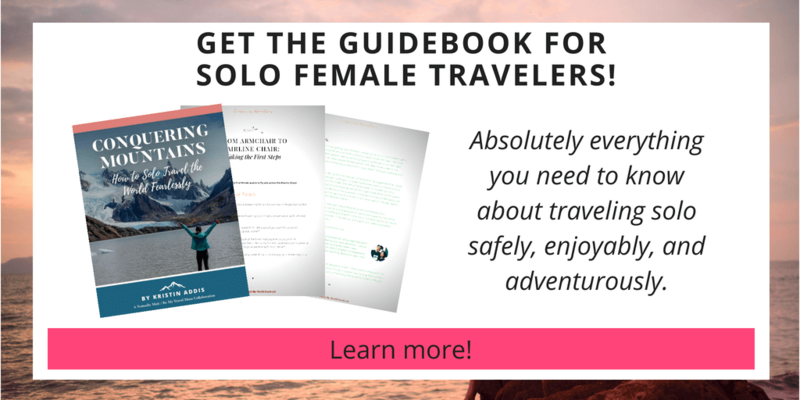 Whether you are a budget backpacker, solo traveler, a couple, family, or a group of friends, Southeast Asia’s bound to have something intriguing for you. 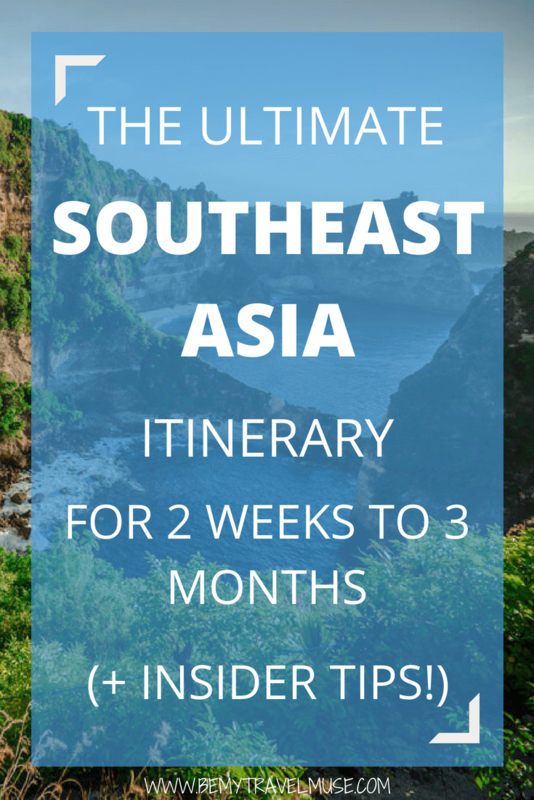 This could make planning a trip to Southeast Asia overwhelming – there’s just so much to see and do! 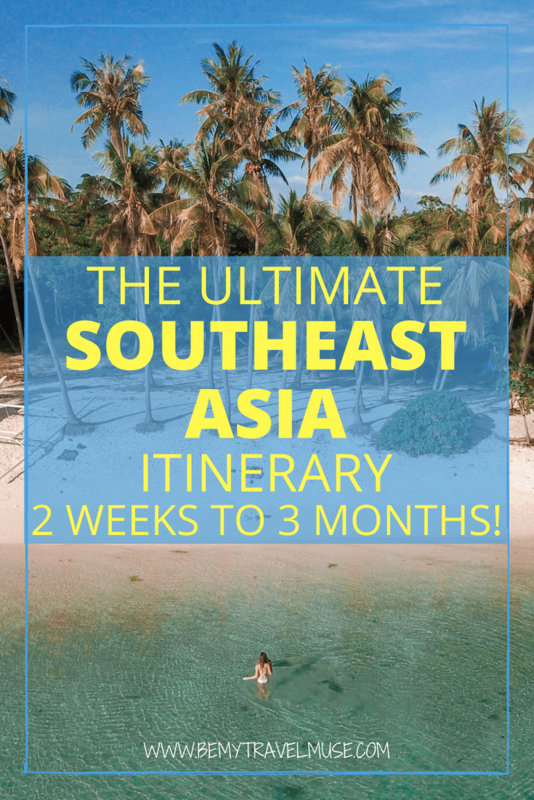 While two weeks is simply too short to attempt to see all of Southeast Asia, the good news is that you can still get a delicious taste of Southeast Asia all within 2 weeks. Spend about 10 days in the Philippines and maximize your time in nature, be it the beautiful islands, the most stunning rice terraces, or the amazing waterfalls. You can narrow down the specifics by picking your favorites from this itinerary. Then fly over to Singapore and enjoy the metropolitan city, eat all the food, and have the country’s signature drink, Singapore Sling, at one of the many speakeasy cocktail bars before your flight home. Spend about 4 days in Borneo and hike up to the country’s highest peak, Mount Kinabalu, which requires a minimum of 2 days, then check out the orangutans of Sepilok. Next, fly over to East Java, Indonesia, to hike Mount Rinjani, or Mount Bromo. Spend your last few days relaxing in Bali or Lombok before flying home. Spend a week in each country. Both countries are home to some of the most gorgeous islands I’ve ever been to. Some of my favorite islands are Koh Chang, The Similan Islands, Koh Yao Noi, Langkawi, The Perhentian Islands, and Tioman Island. Spend about 10 days in Myanmar, not only because there’s so much to see and do, but also because transportation can be pretty difficult. Expect to spend some nights on bumpy overnight buses. Bagan, Mandalay, and Yangon are awesome for anyone seeking a cultural experience thanks to the beautiful temples and the less touristy feel of Myanmar. Fly over to Cambodia and continue your journey with an awe-inspiring trip to the majestic Angkor Wat (you will need at least 2 full days for that, trust me! ), and hang out with the locals before your flight home from Siem Reap. Spend a week in each country. There’s a ton of things to do in both southern Vietnam and Cambodia, but it’s also easy to pick and choose based on your interests. My suggestion is to start your trip in Siem Reap and see as much as you can of Angkor Wat in 2 days, and take an overnight bus to Sihanoukville’s Otres Beach for some R&R time, before another bus ride to Ho Chi Minh City. Apart from eating all the food, there’s a lot of history to explore especially for those interested in visiting the Củ Chi tunnels and the War Remnants museum. From there, it’s another bus ride to Mui Ne for some sandboarding fun, and Da Lat to check out some beautiful waterfalls, before flying home from Ho Chi Minh City. Laos is incredibly slow paced and rustic, which is great for relaxation and discovery. Spend about 9 days in Laos and you will find yourself surrounded by the most incredible waterfalls in the northern city of Luang Prabang, floating down the river on a tube, or motorbiking the Bolaven Plateau down south. Then take a slow boat to northern Thailand, and spend the next few days exploring Pai, savoring delicious local food, and temple hopping in Chiang Mai before flying home. In Nusa Ceningan, off the coast of Bali in Indonesia. One could easily spend a full month just in Indonesia or the Philippines, and still feel rushed since both are island nations with so much distance to cover. The good news is both have tons of variety and each one has its own unique luster. The Philippines is known for friendly people and stunning beaches, whereas Indonesia is known for having great food, some of the best diving in the world, and unique culture on each island. The good news is both are pretty cheap to enjoy. I suggest either picking one to explore over the course of one month, or spending half of your time in each. Here’s a Philippines itinerary and an Indonesia itinerary to help you narrow down exactly where you wish to go. If you’re into diving, after much exploration in all of the best spots in both the Philippines and Indonesia, I can confidently recommend Raja Ampat if traveling in October – April and Komodo if traveling in May-September. Both will blow your mind! For an easy hub and foodie adventures, fly into Singapore for a couple of days and follow this itinerary while you’re there. Next, fly down to Chiang Mai in Northern Thailand and spend a week or so adventuring around the beautiful north of Thailand. If you’re feeling particularly adventurous, rent a car or motorbike and pick your favorite of these overnight and day trips from Chiang Mai, including the White Temple of Chiang Rai pictured above. I suggest giving all of this about a week, perhaps slightly longer, and leaving the bulk of your time for Myanmar. Myanmar is not the quickest to travel through, but it’s also one of the best places in Southeast Asia for cultural exploration, gorgeous temples, friendly locals, and an opportunity to head farther off the beaten path than one can find in places like Thailand these days. With three weeks in Myanmar, you should be able to complete this Myanmar itinerary. One of the best trips in Southeast Asia is traveling from tip to tip of Vietnam, either beginning in Hanoi or Ho Chi Minh City (but don’t forget to include Sapa, Vietnam!). Give this Vietnam itinerary at least three weeks if you can, then head into Cambodia for Angkor Wat and if you have time, check out the smaller towns like Kratie in Cambodia or head to the coast. If you want to get away from the typical tourist route and are at peace with missing the Thai islands, focus on Laos and Myanmar, both of which are stunning countries that get fewer visitors. 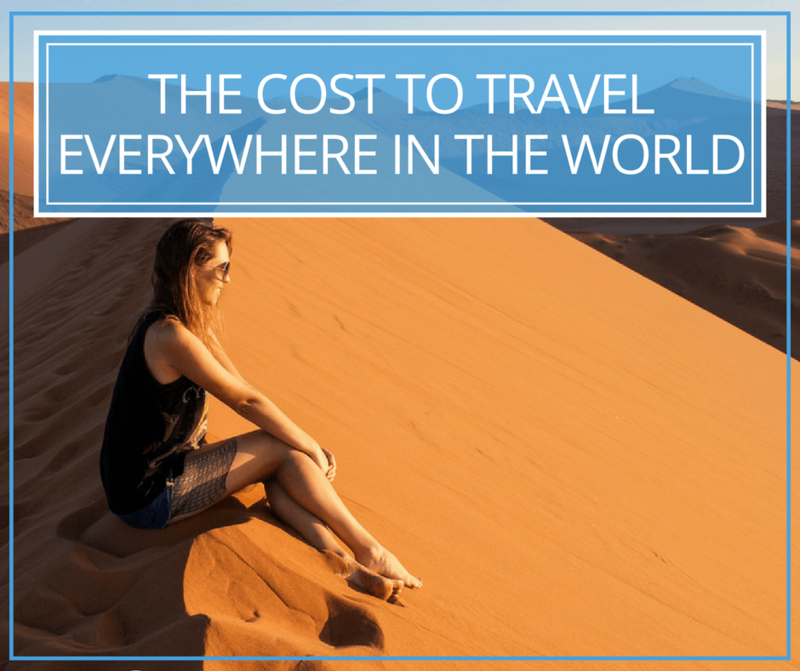 Either give two weeks to each country, picking your favorites from the Laos and Myanmar itineraries, or give one more weight and spend the bulk of your time in whichever calls to you more. Just make sure that at some point, you’re able to get to a major enough city to fly between the two to save time. You’ve got three months in Southeast Asia? Awesome! You can take your time more and enjoy each place you visit a bit more fully and feel less like you’re rushing around. While it may be tempting to try to blast through every country in Southeast Asia within these three months, as many travelers do, I highly advocate taking this time to more deeply immerse in the local culture and explore further than the well known destinations. Since you have so much more time than the other itineraries, I’d leave a lot more room for serendipity and just pick a few must-sees to plan your trip around. Bagan, Myanmar: A UNESCO Heritage site and valley of more than 2,000+ ancient temples built during a golden era of Burma in the 12th century, this place is a must-see if you love temples. The best way to explore Bagan is to rent a bike and roam freely. Chances are you will end up in your own private little temple with no one else around to catch a beautiful sunrise or sunset. Inle Lake, Myanmar: The floating villages, which are essentially neighborhoods on stilts, where locals live in huts built above a network of marsh and grass waterways, is a beautiful place to take a peek at the locals’ daily life. Take a boat and see what it’s like living on water. Luang Prabang, Laos: Aside from the popular Kuang Si Waterfalls, Luang Prabang is also known for the early morning alms, where hundreds of monks walk along the streets to collect offerings from the locals. It is quite a sight that is worth setting your alarm for. Just make sure you watch it with distance and respect, and not be one of those tourists who shove their big cameras up in the monks’ faces. Siam Reap, Cambodia: Angkor Wat is perhaps the most recognizable temple in Southeast Asia. Though the ticket prices have increased steeply over the years, you should still consider visiting it, especially if you are interested in temples and ruins. Chiang Rai, Thailand: The north of Thailand is home to some of the most creative temples I’ve seen, and there are hundreds of them. I promise you won’t get templed out if you pick the right ones to visit, though. My personal favorite is the White Temple, an architectural wonder that started in 1997, and is still undergoing construction until 2070. Borneo: In Sarawak, the local tribes stay together in a longhouse. By together, I mean with the entire extended family. You can arrange a longhouse homestay with the local communities and experience what it’s like to live as a local tribe. Follow the family around as they go about their day, hang out with the children, and chat with the elders for a unique and unforgettable experience. Similar experiences are available in Sapa, northern Vietnam. Bangkok, Thailand: So. Much. Food! Whether it’s a local food market, street food stalls, or the restaurants galore in the giant shopping malls, Bangkok is guaranteed to satisfy your appetite. What’s really cool about Thai food is that you can try the same dish at drastically different price points. Pad Thai is a great example – I’ve had them straight from the wok at a night market for less than $1, at local restaurants for a bit more, and at luxury hotels for 5 times the price. To be honest, the street version is always my favorite! Needless to say, being a foodie in Bangkok is a lot of fun. Here are a few more of my suggestions on how to really fall in love with Bangkok. Chiang Mai, Thailand: Aside from the delicious northern cuisine, Chiang Mai is also a great place to attend a cooking class and bring new skills home. In Chiang Mai, I went with Basil Cookery school which was pretty healthy and very well-run. You can see more about the cooking class and other Chiang Mai favorites here. Kuala Lumpur, Malaysia: The capital city of Malaysia is a foodie’s wonderland, thanks to the country’s multiracial profile. Spoil yourself and indulge in Chinese, Malay, Indian and international cuisine at a reasonable price range. Immerse in the local culture by checking out a mamak (Indian Muslim eatery) for some awesome supper at night. There is a popular mamak within walking distance from the Petronas Twin Towers, in case you are wondering which one to go to! Hanoi, Vietnam: Vietnamese food is a powerhouse mix of influences from all over the world. French, Chinese, and Japanese flavors blend with Vietnam’s own unique approach to food to create an unforgettable culinary experience. In Hanoi, the best way to sample the food is through a street food tour. Just ask your hostel / hotel for recommendations! Also, don’t forget to try an egg coffee at Cafe Giang! It sounds strange but it’s probably the best coffee I’ve ever had in my life, and that’s coming from a friend. Singapore: As it’s the most expensive country in Southeast Asia, one would think that eating in Singapore is an expensive affair. I was very pleasantly surprised at how easy it is to find cheap and delicious street food through the hawker stalls, as well as hippie cafes serving western and even vegan food when I felt the need for a change. These are not the typical suggestions you probably see that feature Phuket and Koh Samui. I like the places that fly under the radar a bit more, just on the cusp of popularity. They’re amazing because of who they attract, the fact that they aren’t as crowded, but that they offer the same as, or even more than, their more-known counterparts. El Nido, The Philippines: With beautiful white sand beaches and blue waters, El Nido has everything a beach lover wants. Don’t limit yourself to just the main island, as there are many small islands around it worth exploring. Just search around and book an island hopping tour, and you will find yourself swimming in the crystal clear water, with a chance to encounter whale sharks and manta rays. For a unique experience, you can also camp on the beach. Siargao, The Philippines: An off the beaten path island that is becoming more popular, but is still a laid-back surf island. Locals will welcome you into their guesthouses with open arms for you to explore powdery, undeveloped nearby islands, local cafes, fish markets, and surf! The Nusa Islands, Indonesia: You can easily hop from one island to another, which is what makes the Nusa Islands so appealing even for those that are short on time. Each island has a ton of beautiful beaches and things to do. 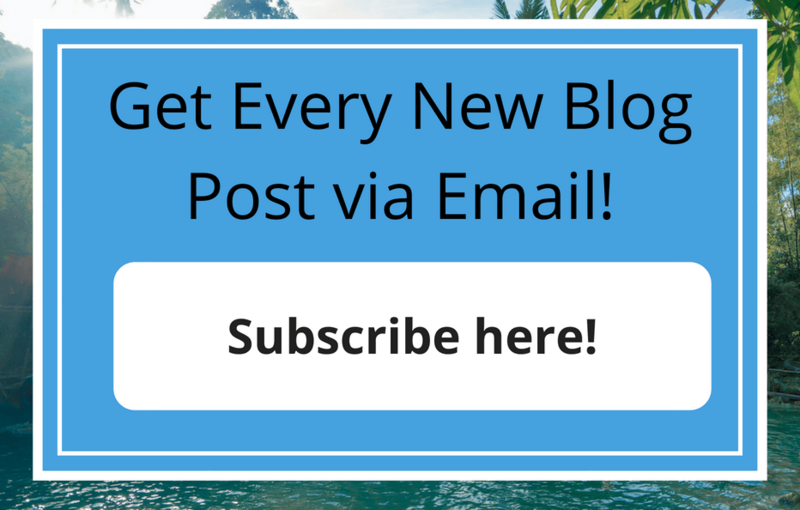 Click here for an awesome Nusa Islands itinerary! The Gili Islands, Indonesia: Another 3-in-1 package deal, you can hop from Gili Air, to Gili Meno, and to Gili Trawangan. Each island offers a slightly different vibe, but all three islands have one thing in common – gorgeous beaches. Tonsai Beach, Thailand: Rock climbers, slack liners, and beach bums alike love this hippie paradise. Go there and enjoy, but don’t tell anyone about it, okay? Koh Chang, Thailand: I love Koh Chang because it’s closer to Bangkok than the southern islands in Thailand, making it a great choice for those low on time, and it’s just as beautiful but less touristy. It’s also lovingly referred to as the ‘last cheap island’ in Thailand. Lonely Beach is the backpacker hangout, though the whole island is worth exploring. It is also, in my opinion, the best island in Thailand for solo backpackers. Perhentian Islands, Malaysia: These two islands right next to each other are so darn beautiful, and there’s a nice backpacker vibe on the smaller island. Book ahead when heading here, as things fill up quickly. Internet is very limited on the island, which is perfect for those who are seeking for a break from social media and work emails. It’s also great for diving! The top of Doi Chiang Dao- wow! Mount Rinjani, Indonesia: This 3 day/2 night hike was a truly unforgettable experience for me. I recommend showing up on Lombok and booking directly with a tour operator there rather than organizing through a travel agent elsewhere in Indonesia or online. The first two days of the trek are not too challenging, though the last day gets tough, offering a sweeping view from the top of the volcano as a reward. Find the full guide to hiking Mount Rinjani here. I also highly recommend staying in Lombok and exploring the many waterfalls and beaches. It’s one of my favorites in all of Southeast Asia. Mount Bromo, Indonesia: Mount Bromo is probably Indonesia’s most famous volcano. It sits at the eastern end of Java between Surabaya and Yogyakarta and is quite often lumped in as part of a tour heading out of one of those two cities. There are tons of tour operators selling Jeep tours to Mount Bromo, which is fun to some, but I did it independently and preferred it that way. Kawah Ijen, Indonesia: Slightly more off the beaten path compared to Mount Rinjani and Mount Bromo, Mount Ijen is perfect for those who want to see something different (note: blue flames!). The volcano itself is beautiful but hiking in with the stars, getting up close to the blue flames and viewing the truly stunning sunrise are what makes Mount Ijen so unique and special. Mount Kinabalu, Malaysia: Why not hike up to the highest mountain in Southeast Asia? I managed to hike to the top in one day, but since the earthquake, it is no longer permitted. Hikers are required to do a minimum of 2D1N compulsory climb these days. The hike is challenging, almost entirely straight up stairs, but the view on top is absolutely stunning. Given the weather conditions, hikers often make it close to the summit and have to turn back. If possible, leave some room for serendipity just in case you need to stay one more night for the bad weather to pass. Doi Chiang Dao, Thailand: Doi Chiang Dao is Thailand’s third tallest peak, accessible via a fairly easy drive 1.5 hours north of Chiang Mai and surrounded by mountain after mountain in every direction. It’s a lovely hike worth including in your northern Thailand itinerary. Concrete information online was hard to find, so here’s my guide to hiking Doi Chiang Dao that has everything you need to know! Kalaw, Myanmar: Many people visiting the popular Inle Lake choose to do a 3-day trek from Kalaw to get there. The trek takes you through valleys and small villages where you’ll stay each night, experiencing rural Myanmar life. The cost is cheap, the views are spectacular, and the trek is life-changing. There are no hot showers, no electricity, and no internet, just pure experiences with the nicest people on earth. Raja Ampat, Indonesia: The liveaboard diving trip I did in Raja Ampat was the hands down best diving trip I’ve ever done in my life, and this is coming from a girl who has done more than 150 dives! The area was largely uninhabited, where I spent afternoons pretending to be a mermaid, and the time spent under water was incredible, with tons of diversity and abundance of sea creatures. If you want to see Manta rays, turtles, Wobbegong sharks, Mobula rays, Spotted rays, Black-Tipped Reef sharks and Groupers, go to Raja Ampat. It’s worth going the distance for. Sipadan Island, Borneo: It’s called one of the best diving sites in the world for a reason. I love that they limit the area to only 120 divers per day, which really helps sustain the ecosystem and keeps the site beautiful and safe for both the sea creatures and visitors. Make sure you book at least 2 weeks in advance. Coron, Philippines: This was another liveaboard diving trip I did in the Philippines and enjoyed thoroughly. If you love wreck dives, Coron is the perfect choice for you. I remember clocking around 10 wreck dives in 6 days! Tioman Island, Malaysia: So underrated, but so good! The island is dreamy and beautiful, yet you won’t have to share it with too many other people. My guess is that since the restaurant choices are very limited, alcohol isn’t widely available, and you can pretty much forget about getting on the Internet, it keeps the crowds away. Komodo, Indonesia: If Raja Ampat and Sipadan take the #1 spot for the best diving I’ve done, then Komodo is a very, very close second. The soft corals are colorful and gorgeous and it’s full of sea turtles and the occasional Manta ray as well. Plus, most liveaboard trips combine an excursion to see the Komodo dragons as well. Chaiya, Thailand: I did a 10-day silent meditation retreat at Wat Suan Mokkh, Chaiya district, located in Surat Thani province, close to the popular Koh Samui, Koh Phangan, and Koh Tao. The retreat takes place at a Buddhist monastery in the forest where the attendees don’t speak, use technology, or even read books. They just meditate. Held once a month (from the 1st – 10th), Wat Suan Mokkh is a beautiful place for those who are into spirituality and meditation. New Life Foundation, Thailand: Though this is more of a place to live and volunteer for a month or longer, particularly for those who are stressed out and just need a little vacation from everyday life, they do hold retreats here from time to time. I attended a silent meditation retreat at the center and found it to be more comfortable and an overall easier experience than Wat Suan Mokkh, though the two are hard to compare as they’re so different. You can read more about New Life here. Bali, Indonesia: If you’re looking for a yoga retreat, Bali is the epicenter of such things in Southeast Asia. 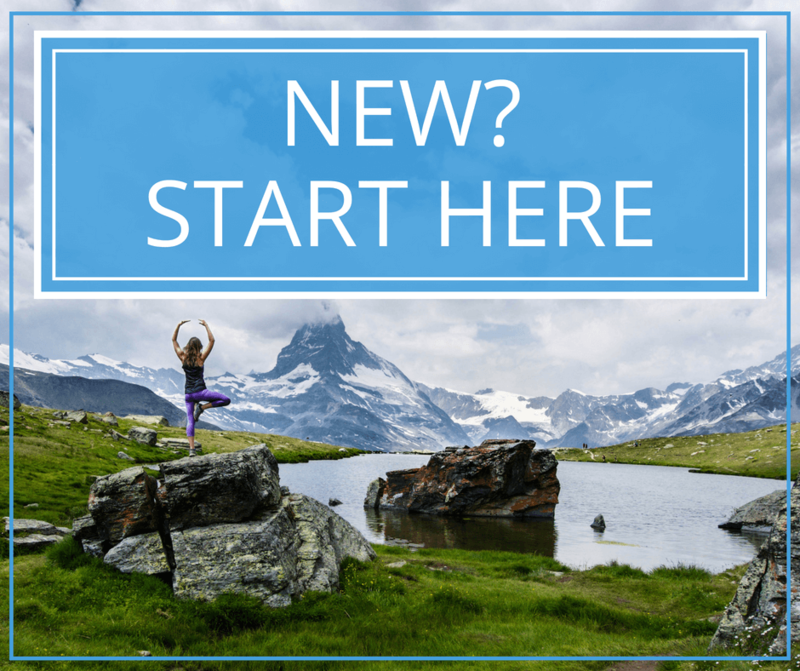 Each month all over the island there are tons of retreats to choose from that focus on wholistic wellness, raw food diets, tantric yoga, and a wealth of other options. You can find them on this booking engine. If you want something a bit more relaxed and remote, look at the Nusa Islands, which are just a 30-minute ferry ride away from Bali. Siquijor Island, Philippines: The mystical island is full of healers and witches. If you want this experience, the first thing to do is talk to a local if you can. See if you can get him or her to bring you to a legitimate shaman. I spoke with another traveler who did a smoke clearing ritual in the middle of the island with a folk healer, which he gave me a moderately excited review of. You can find them here if it interests you. Chiang Mai, Thailand: Elephants are one of the icons of Thailand. Many visitors are excited about interacting with them, but sadly, it has resulted in unethical businesses that involve torturing wild elephants to tame them for entertainment purposes. It’s our responsibility, as tourists, to make sure we’re putting our money into the hands of programs that make their lives better. Elephant Nature Park in Chiang Mai is a highly reputable sanctuary for rehabilitated elephants. If you want to play (feed & bathe only, no riding) with elephants ethically, I recommend checking it out. Sabah, Borneo: Borneo is a great place for some adventure time deep in the jungle. Danum Valley Conservation Area is a beautiful place known for its beautiful primary forest and wildlife experience. For an experience that will remind you of the Amazon in Peru, check out Lower Kinabatangan River. Finally, Deramakot Forest Reserve is wonderful for many reasons – it is in accordance with good forestry practices, you will have the opportunities to see Pygmy elephants, bearded pigs and orangutans. Komodo National Park, Indonesia: I had a close encounter with dragons in Komodo. They are the world’s largest, bloodthirsty lizards that roam freely on Rinca Island. This is also the only place on Earth that you can see them, so if you find yourself in Indonesia, be sure to check them out. Other than the Komodo Dragons, you may also chance upon the manta rays, sharks, turtles, and dolphins if you dive! Bukit Lawang, Sumatra, Indonesia: For an even more authentic orangutan experience, head to Sumatra. I just loved the little jungle town of Bukit Lawang, accessible via Medan, for hanging out, tubing down the river, and of course, jungle trekking to see the orangutans. You can find out more here. Cebu, Philippines: Many people rave about the Kawasan Falls tour, for a good reason! It’s a thrilling day trip around the area with canyoneering, cliff jumping, jungle trekking, and swimming on the docket. Your experience ends at Kawasan Falls, a picturesque waterfall that plummets into the turquoise lagoon below and has quickly become an instagram favorite. When you see it, you’ll understand why! Vang Vieng, Laos: With strict rules and regulations imposed on the once deadly tubing that was notoriously popular among backpackers, the activity is now safer and just as fun as before. Other than tubing, kayaking and rock climbing are also popular in that area. Gibbon Experience, Laos: If trekking and ziplining through a lush jungle and staying in a treehouse is on your radar, check out the Gibbon Experience in Laos. Brochures can be found in almost all hostels, so you just have to ask! It’s also possible to book online. Country Motorbiking in Vietnam or Laos: If you are comfortable on a motorbike, take a road trip! You get all the freedom in the world, and it’s a great way to experience Vietnam from north to south (or visa versa) or to explore Laos’ Bolaven Plateau, which is basically waterfall heaven. Myanmar: Myanmar has only decided to open up its door to tourism a little 6 years ago. 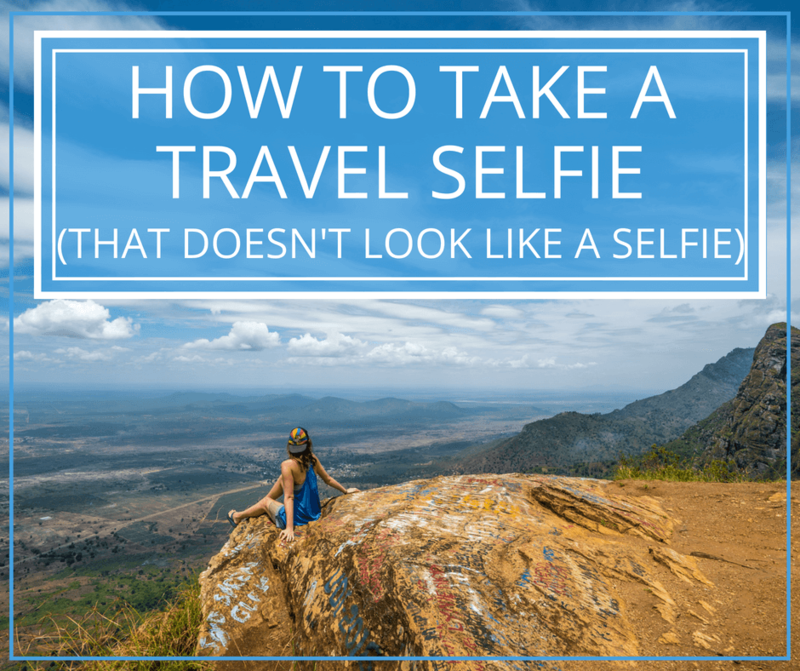 The locals are still getting used to seeing foreigners, and traveling around can be quite challenging and confusing. However, this is a paradise for those who are looking for a journey in Southeast Asia that’s off the beaten path. Just look further from the popular spots like Yangon and Inle Lake, talk to the locals (many young locals are receiving linguistic education from volunteers, and they are encouraged to practice their English with tourists! Just be friendly and respectful), who will be happy to show you around, rent a bike if you are comfortable on one and just ride away. Check this itinerary for the best spots. Nong Khiaw, Laos: Though only a 4 hour bus ride away, Nong Khiaw is often hidden in the shadow of Luang Prabang’s popular waterfalls and backpacker area. It is a quiet, laid-back village with just a few guesthouses lying around. There are a few hills that make for amazing sunrise/sunset spots, and if you want to go even further, take a 2 hour walk to another village, Huay Bo, for a rustic, wholesome overnight stay with the locals. You’ll wake up to the sound of roosters, walk around a small village with kids running around, women making Laos liquor, and men working away in the fields. Lampang, Thailand: Lampang is a northern province that is fairly popular among the locals, but not so much with the foreigners just yet. When I did a road trip there I found an emerald lake and had it to myself, until a small group of local cyclists came. I also hiked up to Wat Chaloem Phra Kiat, Thailand’s floating pagodas, and again, had the place mostly to myself except for a few local tourists. What’s keeping tourists away from these spots is the accessibility, but if you are considering renting a car, you will not have any problem getting there. I gotta say it’s not easy putting this together, there’s just so much Southeast Asia has to offer! But I hope the itineraries are helpful to you, and if you need more information about each of the Southeast Asian countries, check out the destination page, where I’ve included the essential information, accommodation guides, transportation tips, top things to do, and all of the blog posts from each country. Enjoy the journey, and comment below if there’s any other places in Southeast Asia that you think I should visit next! 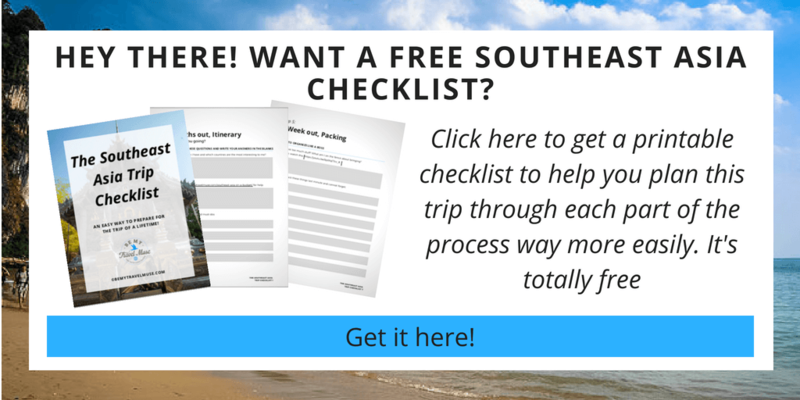 Great overview of traveling in Southeast Asia! I have a questions for you. If you could ONLY go back to one country, which one would you choose? In Southeast Asia? I’d pick Indonesia because it’s so huge and diverse. I’m amazed! I’m always looking for a trip somewhere in Europe, but I think I should think about planning a trip in Southeast Asia. Lovely pictures! You have clearly put a ton of effort into this post, very impressive. You are to be commended and I will use this for any travel I do one day in SE Asia, I promise. 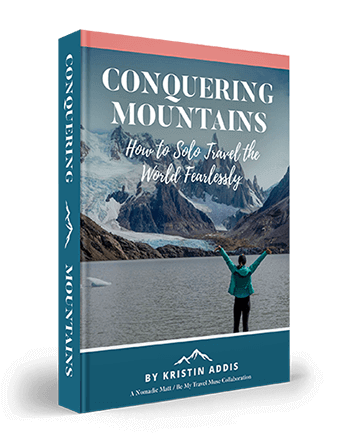 The beauty of it is in my case I might be restricted to a few countries and limited time so this will help me immensely in planning a custom itinerary. You seem to really have covered your bases, tapped into years of past posts, videos and personal experiences. A beautiful, organized collage. The only thing I could possibly add to this for those who, in addition to outdoor, solo adventure, like shopping binges along the way is that Kuala Lumpur is ranked 4th in the world by CNN as the best city to shop :). Three of the 10 biggest malls in the world are there, they say at least. I’ve heard Bangkok is pretty good too. I don’t know if this is really an addition to this, but a side note :). As another interesting side note: There is a ski “resort” inside a megamall in Penang, Malaysia called “Snowland” or “Snowland at Megamall Penang”. It looks like fun. According to one site I found, it is fun for those who have never done it before and drops 46 meters and has 6 snow machines which keep it at -5 degrees C in the indoor arena, so it feels real too. Have you ever heard of it? There’s also “SnowTown Saigon” but I think that is more for kids and there is a small ski slope for training (it is warmer though, 10-15C). I found these when wondering about snow/skiing in SE Asia and found “snow” here :). Keep up the fine work you are doing! There’s a ski resort in Malaysia?! Wow! Never heard of it until now! I am afraid this could be to strict and fast-paced, but we don’t want to miss out on something. Would you recommend skipping Taiwan, which we want to visit before starting in Hanoi, to have one extra week in SEA (maybe for a whole 2 weeks in Bali and another few days in Northern Thailand)? Or skipping Kuala Lumpur for a few days extra on the islands in South Thailand? I would recommend spending more time in fewer countries and then having looser plans while you’re there. I tend to burn out when I’m moving so fast. where can you go as a person with a hip disability. I am unable to backpack but can ride motorbikes. I understand my limitations but am eager to make 1 trip to as many countries as I can. time is not a limitation and money would be subject to a medium budget. Anyone here have suggestions? I can’t answer from personal experience but I’d love to find out as well!